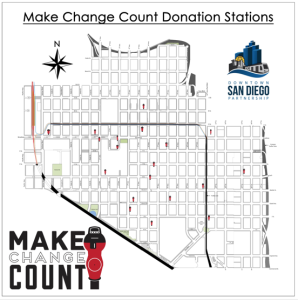 Support the Downtown San Diego Partnership’s Make Change Count program by dropping some change–or by using a credit card at one of the many donation stations located throughout Downtown. Or, you can click below to donate online. 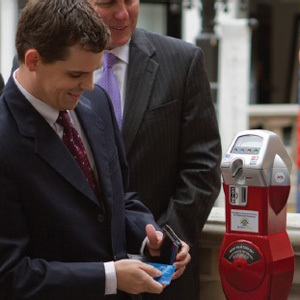 The donations are collected as the meters fill up and are turned over to the Downtown San Diego Partnership Foundation, a 501(c)3, which supports reducing homelessness in our community. The funds help pay for things like hygiene kits, move-in expenses, our Family Reunification Program, and more. Please consider making a meaningful donation today. **Are you interested in installing a donation station on your property? Call our Clean & Safe office at (619) 234-8900 for more information.